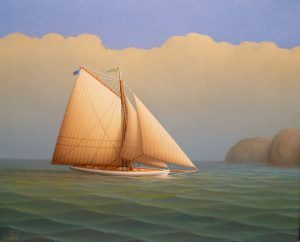 George Nemethy was born in 1952 in Newburgh, New York to a family of artists. 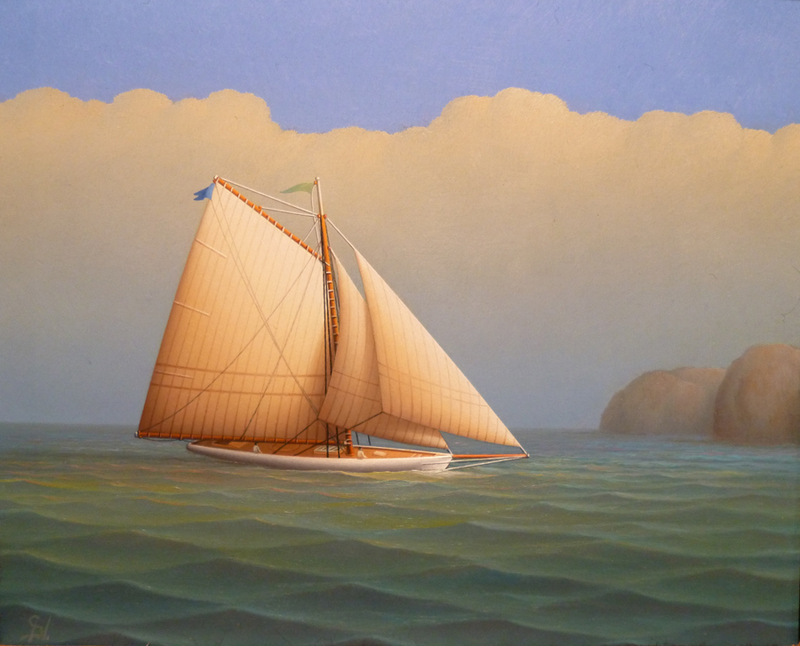 Albert Nemethy, his father, was a Hungarian marine painter of high regard who instructed his six children in the art of painting ocean scenes. Julien, Albert Jr., George, Veronica, Kristina Augustine and Georgina were all inspired by their father’s world of classical music, fine art, and antiques, and he was likewise overjoyed to nurture in them a love of painting. 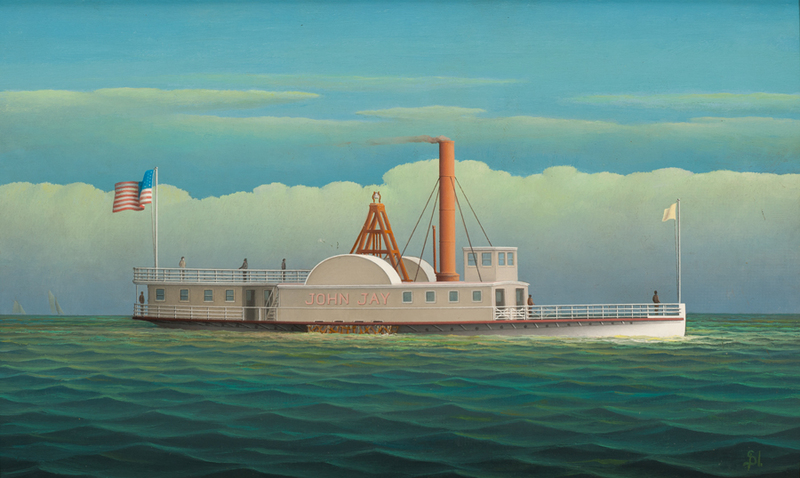 Though many of the siblings followed in the father’s footsteps to paint marine scenes, George differentiated himself from the group. 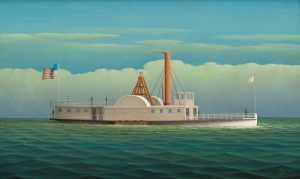 He was particularly inspired by the Persian miniatures that were among his father’s collection of antiques, and combining this fascination with what he learned from his father, George was able to make his own signature style of marine painting. 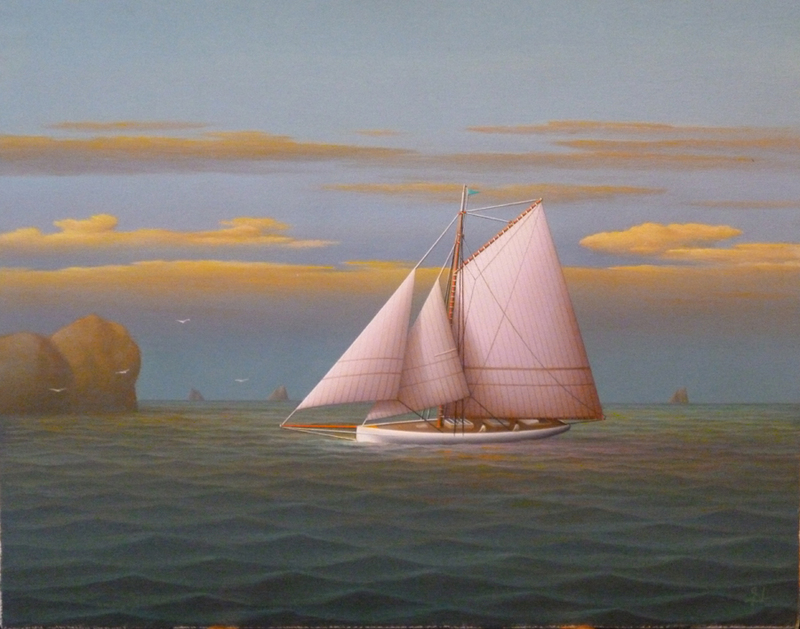 His miniature works are highly detailed, marked by their devotion to a balance of size and color. 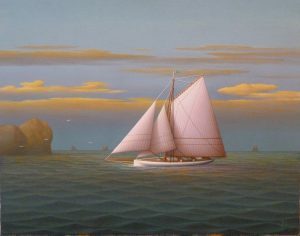 They feel uniquely intimate, with tranquil pastel waters and billowing sails. He frames each enigmatic scene of solitude with a custom made gold frame, recalling the gilded miniatures he found so alluring in his youth. Today, George travels, finding inspiration in the seaports, beaches, and isolated islands he explores. He is, like his works, an enigma. Nonetheless, his miniatures continue to charm and entice collectors across the world.